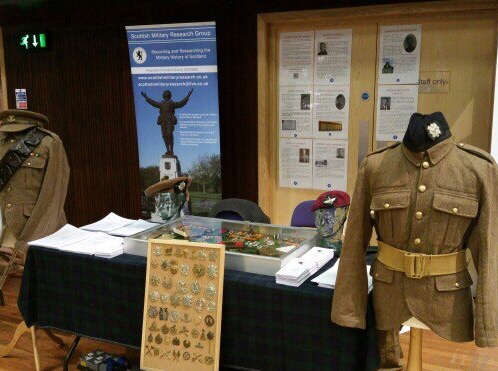 ​When we have a stall at an open day or a research day we like to put out a display of militaria around our table. This is to show people items such as medals, uniform items, equipment and paperwork to try and bring old photographs and family stories to life. 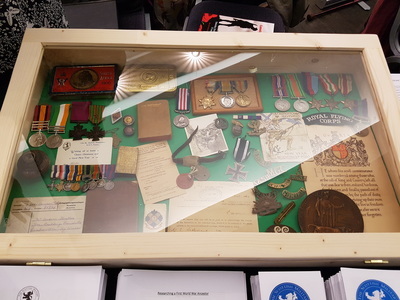 Some of the items belong to us and some have been donated. We are always happy to take more donations of items that would be useful in our displays. If you have anything to donate which you think we could use at our stall please contact us.